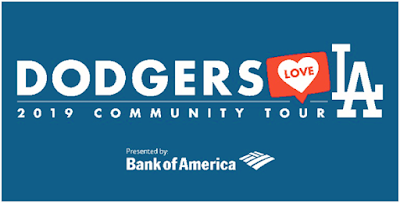 The always anticipated Dodgers community tour to usher in the upcoming season is scheduled for next week, and there are all kinds of festivities available for fans to attend. Overall, there are nine separate events that will feature Dodger players, alumni, coaches and broadcasters. Dave Roberts will serve as the grand marshal of the 34th annual Kingdom Day Parade. 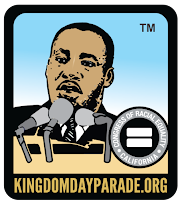 The three-mile route will begin at Martin Luther King Jr. Boulevard and Western Avenue and proceed west on King to Crenshaw Boulevard and then south to Vernon Avenue, where a post-parade festival will be held at Leimert Park. 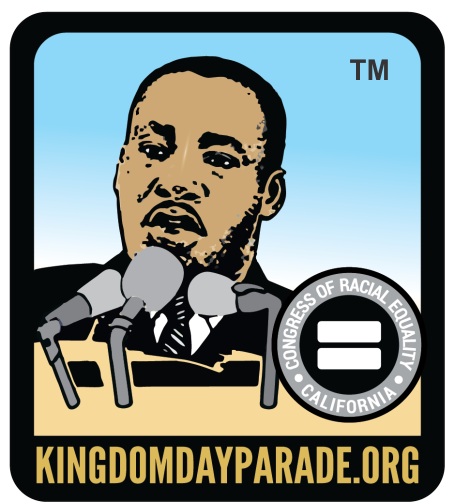 Go here for more information: kingdomdayparade.org. 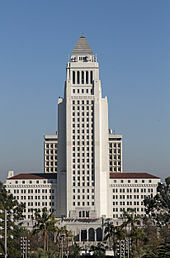 BTW, the parade will also be televised on ABC 7 -- starting at 11:00 a.m to 1:00 p.m. In the past Sweet Lou Johnson, Derrel Thomas, Bobby Castillo, Tommy Davis, Al “The Bull” Ferrara, Lee Lacy, Kenny Landreaux, Tim Leary, Wes Parker and Dennis Powell have participated in the parade. 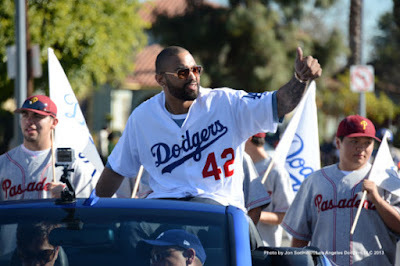 Furthermore, Matt Kemp was the grand marshall of the Kingdom Day Parade in 2013. This is a great honor. In recognition of Justin Turner’s impact on the local community, the Los Angeles City Council will proclaim Tuesday, January 22, 2019 as Justin Turner Day in Los Angeles at City Hall. Justin Turner and the Dodgers will host an enlistment and re-enlistment ceremony at Dodger Stadium for all branches of the military. Bank of America volunteers will provide a helping hand and Jason Gietter, U.S. Navy Veteran and Consumer Banking & Merrill Edge Region Executive, will address the enlistees. Following the ceremony, the new enlistees will be treated to lunch. Dodger players will host over 350 firefighters who battled wildfires in Southern California for lunch and batting practice. In addition, Bank of America executive Garrett Gin will give remarks and will be joined by Bank of America volunteers. Dodger pitcher Joe Kelly will surprise customers at a local Smart & Final location. At this time the location is a surprise. 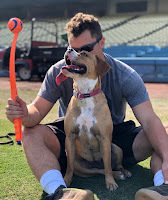 For the second year in a row, Joc Pederson will take photos with fans and their dogs, who will receive a Dodger dog t-shirt. Bank of America volunteers will support the event. At the Sepulveda Basin Off-Leash Dog Park, 17550 Victory Blvd, Van Nuys, CA 91406. Austin Barnes, Kiké Hernández and Bank of America volunteers will surprise military members and their families traveling to/from deployment through Los Angeles International Airport’s Bob Hope USO, delivering snacks and goodies. At the Bob Hope USO at LAX, LAX Theme Building, Los Angeles, CA 90045. Numerous Dodger players will visit with patients at Ronald Reagan UCLA Medical Center and UCLA Mattel Children’s Hospital. 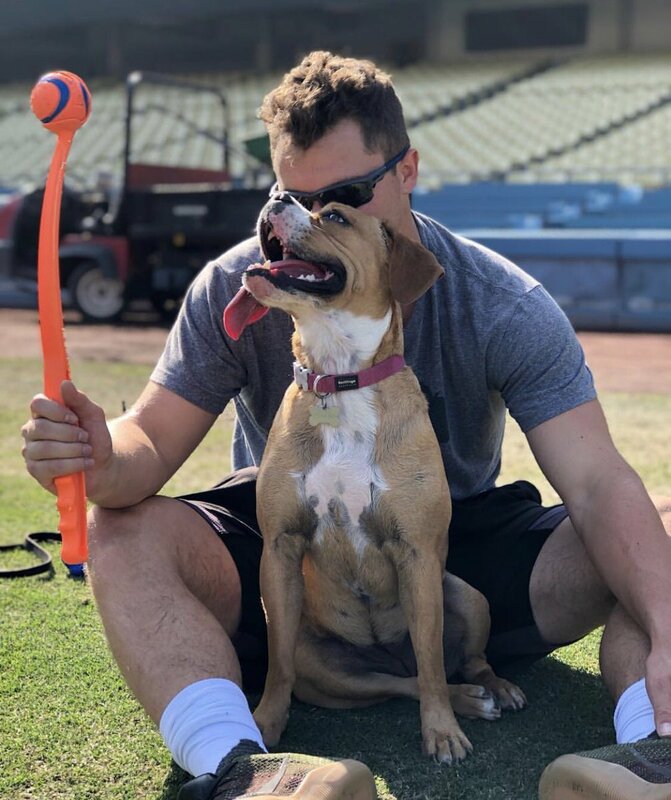 Dodger players will visit with those affected by the Borderline tragedy in Thousand Oaks, honoring the memory of those lost, comforting survivors and thanking the brave first responders. Midge Campbell-Thomas, Bank of America Market President, Ventura & Santa Barbara Region, will address the gathering, and Bank of America volunteers will provide support. At the Lundring Event Center at California Lutheran University, 130 Overton Ct.